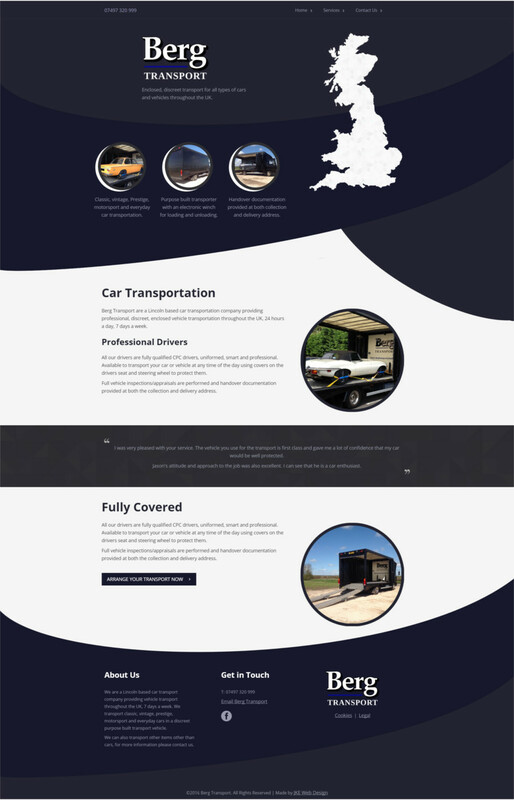 Berg Transport are a Lincoln based car transportation company providing professional, discreet, enclosed vehicle transportation throughout the UK. 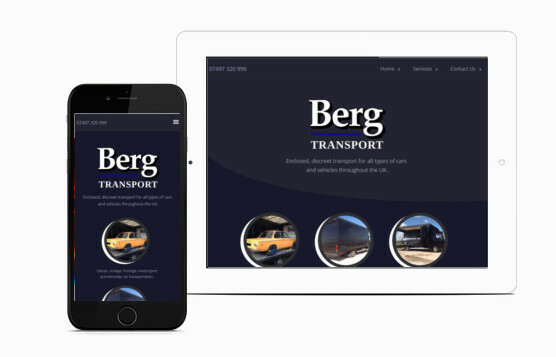 Berg Transport came to JKE looking for their first website. They needed something to give them a professional web presence to make them stand out from the crowd as a new company. After our initial research we found that a lot of competitors sites were quite safe and boring so we wanted to make Berg stand out from the crowd with an eye catching dynamic design. Admittedly our first attempt was not what Berg had in mind but that is the benefit of having a designer who is happy to rip it up and start again. So thats what we did. The end result was a design that everyone was happy with. It keeps to the brand colours of Berg has a nice eye catching flow to the design and includes some animation to really make the website come to life. This is all possible with a bespoke build rather than the limitations of templates. JKE can adapt to the preferences of the client with designs that make the most of the content available giving a strong professional image to your customers.